Personally, I LOVE Rue De Seine a lot, especially their lace details and bohemian touch. Today I’ve rounded up some of my favorite styles with the collection of both their classic and the “Moonlight Magic” collection. Check out these fabulous dresses and be inspired. 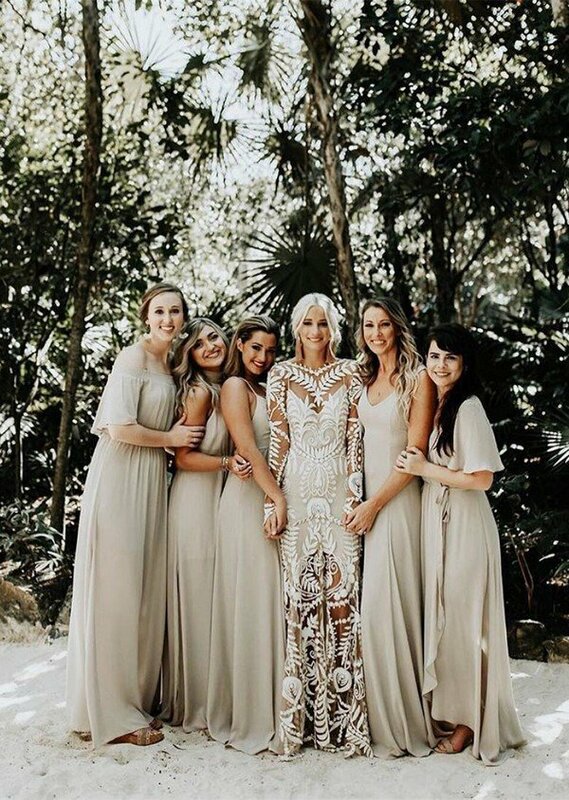 Boho wedding dresses blur the line between traditional, and defined by embodying the free spirit of the Hippies from the 1960’s and 1970’s. The primary ingredient to all bohemian wedding dresses is comfort. Expect to see a lot of flowing layered fabrics, ethnic inspired-textures, and floral crowns in these jaw-dropping boho weddings gowns.